In our first podcast interview we felt it would be appropriate for you to get to know your host a little bit more! 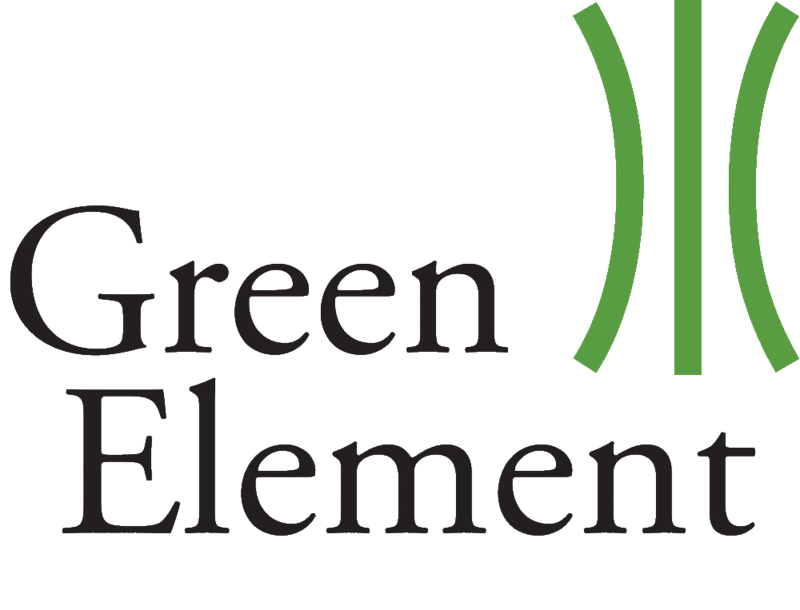 Will Richardson founded Green Element in 2004 with a mission to change the world. In this interview Will talks about why he founded the company, how Green Element lives and breathes it’s mission and values and it’s plans for the future. BCorp UK Website – Lots of information and articles about BCorps in the UK and the BCorp movement. CompareYourFootprint.com is our sister company that calculates your Carbon Footprint and benchmarks you against other companies in your industry. Our YouTube Channel where we’ll host all the podcast video interviews each week. Aim to do business as a force for good – that’s the BCorp motto! Before employing a consultant or spending a fortune head to www.compareyourfootprint.com and understand where you’re currently at with your carbon emissions first, THEN get in touch with a consultant who can help you move forwards. Green Element is an Environmental Management Consultancy based out of London and Edinburgh. We’re trying to grow an ethical and sustainable business model that works and is very profitable. We want to help everyone in the business and all our stakeholders in a really positive and ethical way. Green Element is also a proud and certified BCorp. BCorp is a movement of ethical, sustainable and purpose driven businesses. We are all trying to do business as a force for good – which is the BCorp motto! We originally became a BCorp because a client asked us to and at that time I’d never heard of BCorp before and we looked at it and thought that it fits entirely with our values. We are completely bought into it and it highlights the values that we hold dearly and it has helped us become more of an ethical business and help us push our business model to the extreme. BCorp is a global movement including companies like Kickstarter, Patagonia, Ben and Jerrys, and in the UK – JoJoMaman Bebe, Pukka Teas. Unilever brought out a report in 2017 on how 50% of their businesses were growing faster than the other 50% and what they had in common was the fact that they were all sustainable and purpose driven business. What is the Green Element Superpower? Green Element is able to understand your business very quickly and is able to help your business become more environmental. We have an incredible team of very talented and bright people and we take pride in our work and love what we do. How does Green Element engage it’s staff, suppliers and customers with your mission and purpose? Green Element assess every single supplier that we have and ensure that we use the supplier for the right reasons. I believe very strongly that you should work with local suppliers however in some instances that isn’t always the best fit. The fact that you ask the questions and explore the how the why and the what is important. The answers will always change so it’s important to keep asking and not sticking what what you always do. We also own a business called CompareYourFootprint.com and I feel very strongly that we should be employing local talent in Edinburgh, which is where we’re based and will be looking for new programmers to help us with that business. Ensure absolutely and totally that you as a business owner and all members of the leadership team practice what you preach. This is what we do at Green Element. We look after each other and we work as a team and we bring people into the company that share the same values as we hold and we all work towards a common goal as well as our own individual goals. We also support and respect each other and work together then this is the best thing. What has been your biggest struggle so far when it comes to running a sustainable business and how have you overcome it? Ensuring that we make the right decisions and making sure that the long term decisions fit in with the short term outcomes. What I mean by this is that you can put policies and procedures in place that help right now but what are the long term ramifications of those particular decisions? Look at your 2,3,5 and 10 year plans and make sure that everything fits in with your goals. For example. We travel entirely by train and travel around the UK which is not the cheapest mode of travel but I believe it is the right thing to do in the long term as it is a much more ethical and sustainable business model and puts in the right values into the business. Plus as an Environmental Management Consultancy it allows us to work on trains too and I’ve worked out that there is a financial calculation on our website that shows how much you gain by having billable hours that you can use through working on a train. Here’s a link to the article on our website. If you could offer ONE piece of advice to our listeners which could help them with their purpose, what would that be? Go to CompareYourFootprint.com, it’s a piece of software that we’ve set up to help businesses in the first stage to understand how to be sustainable as you can calculate where you’re at right now. It’s a very effective and cost efficient way to learn more and understand your scope 1,2 and 3 emissions – click here to learn more about what these are. It will also help you benchmark against other people in your own industry. What I have found in the last 15+ years is that the initial steps are very cost prohibitive so this is why we’ve developed this software to overcome this. What you should do is to firstly understand your scope 1,2 and 3 emissions and THEN contract a consultant to help you make changes and reduce your impact. What’s the best way we can connect with you and learn more? If you’re keen to be more sustainable then please contact me as I’d be more than happy to discuss options with you and to help you get started! I always reply to emails and phone messages so please get in touch! We’ve set up this new Facebook community to keep in touch with everyone and also to provide a network of like-minded people. This is a great place to keep in touch as there are lots of like-minded people in this group (124 at the time of writing) and a place to network, ask for advice, get support from others, share learning and ideas and also learn from weekly Facebook live training videos we run weekly.